Happy New Year Everyone! 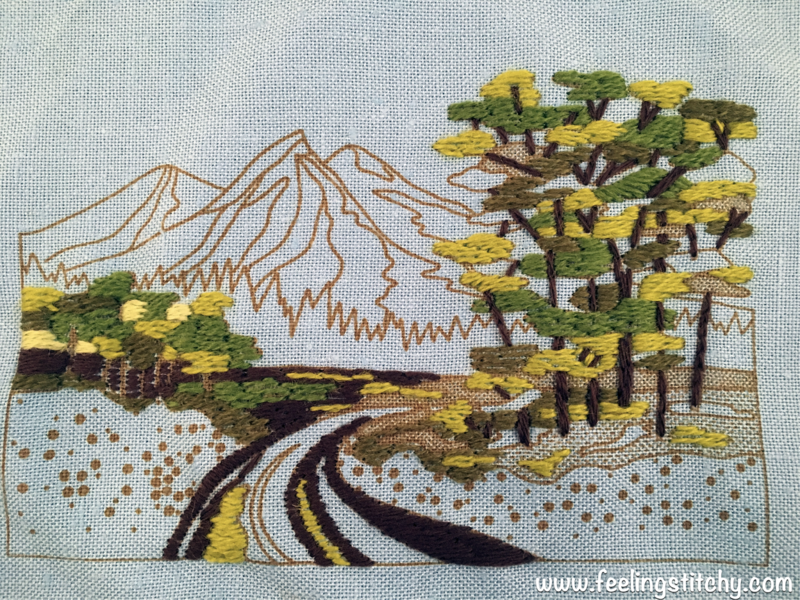 I am here today to share with you some photos of an embroidery kit I just finished! 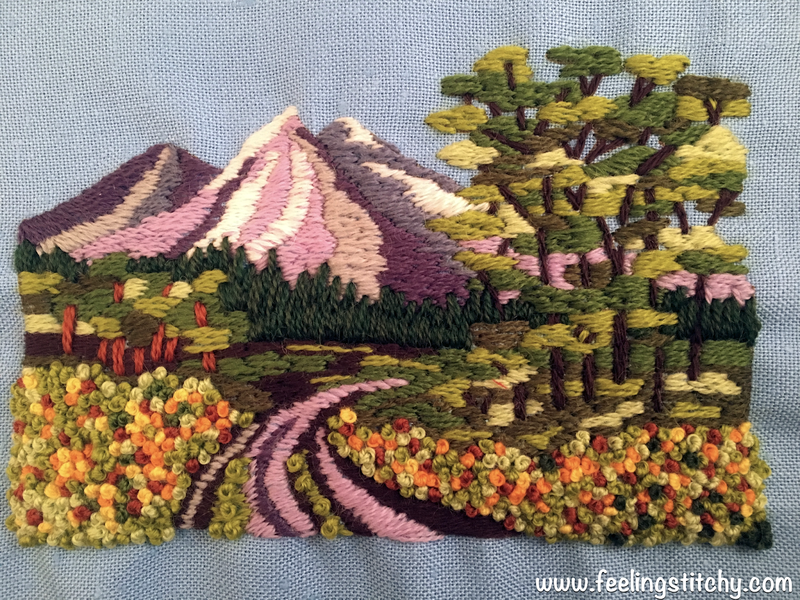 A couple months ago, I decided to go on Ebay for embroidery stuff. 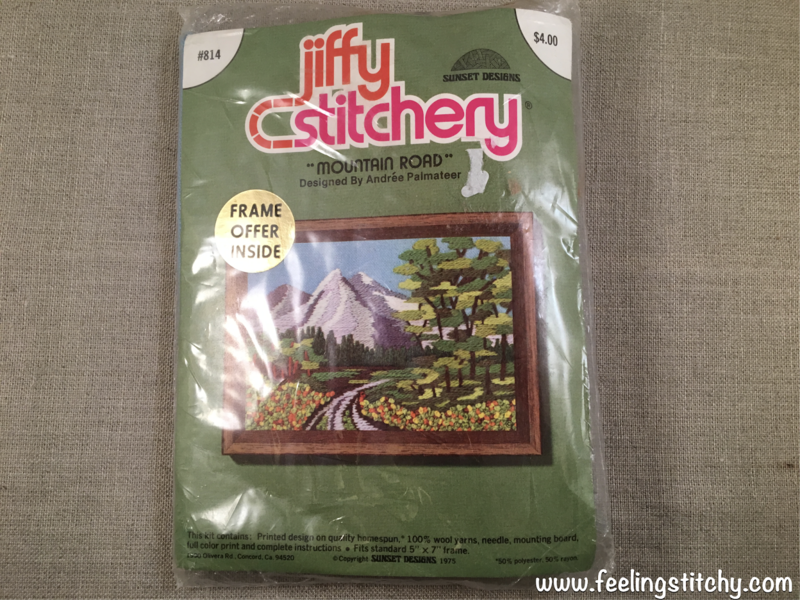 I randomly searched for "vintage embroidery kits" just to see the results - and what do I find but this Sunset Designs Jiffy Stitchery "Mountain Road" embroidery kit (un-opened) from 1975! 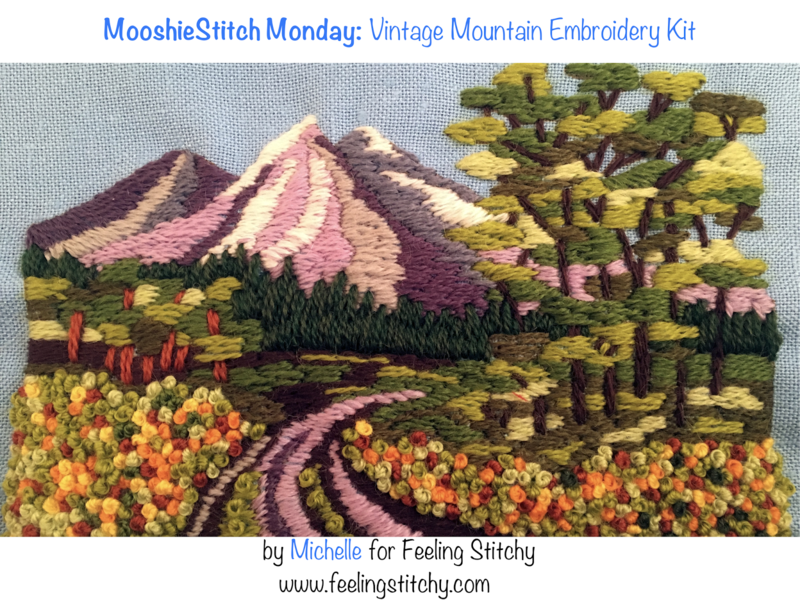 The kit included instructions, wool yarn, needle, and fabric with the design printed on it. The wool yarn was a 3-ply stranded Persian yarn. 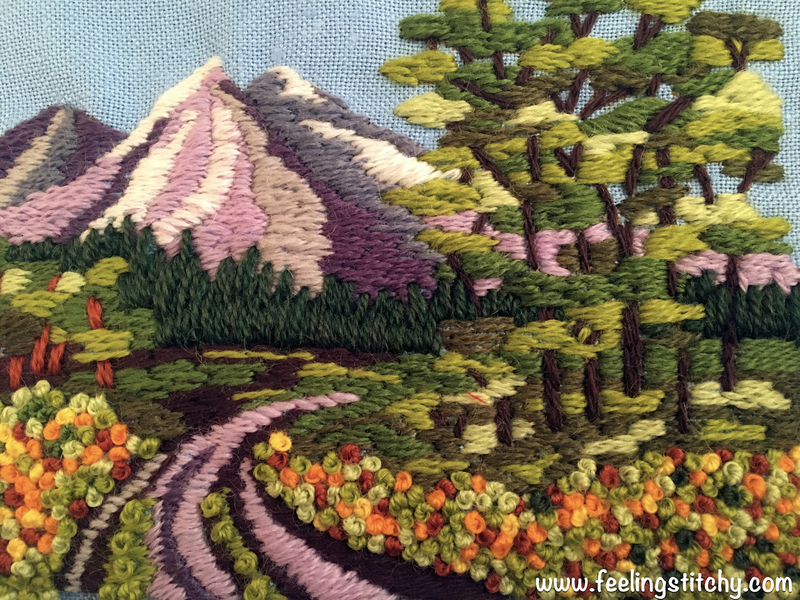 Most of the kit was stitched using 1-ply, with the exception of the French Knots, those are 2-plies of yarn. 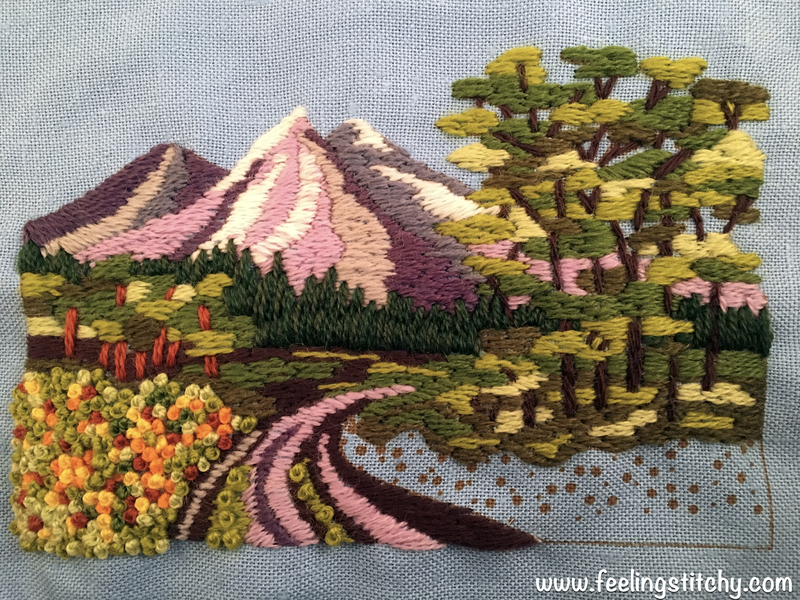 Only three stitches were recommended: satin stitch, French knots, and Pueblo stitch. 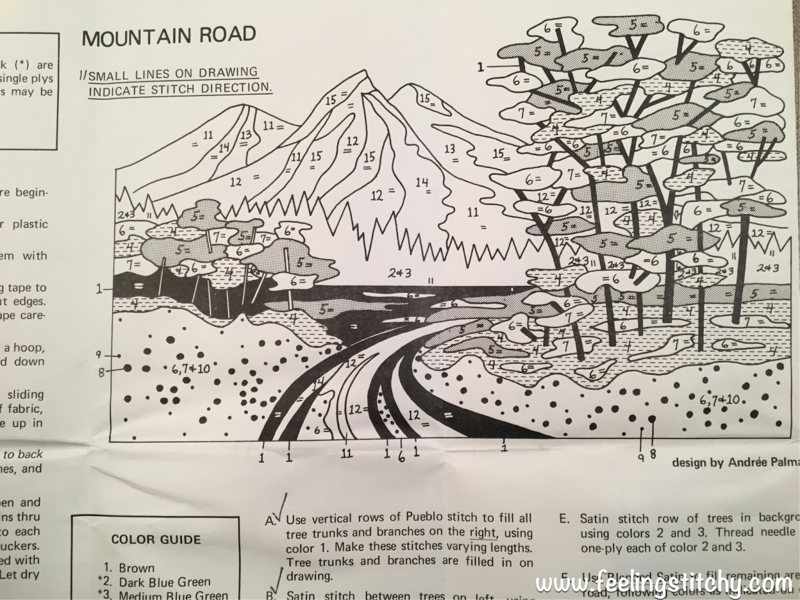 Here is a better view of the drawing included in the instructions - numbered with what color to use. 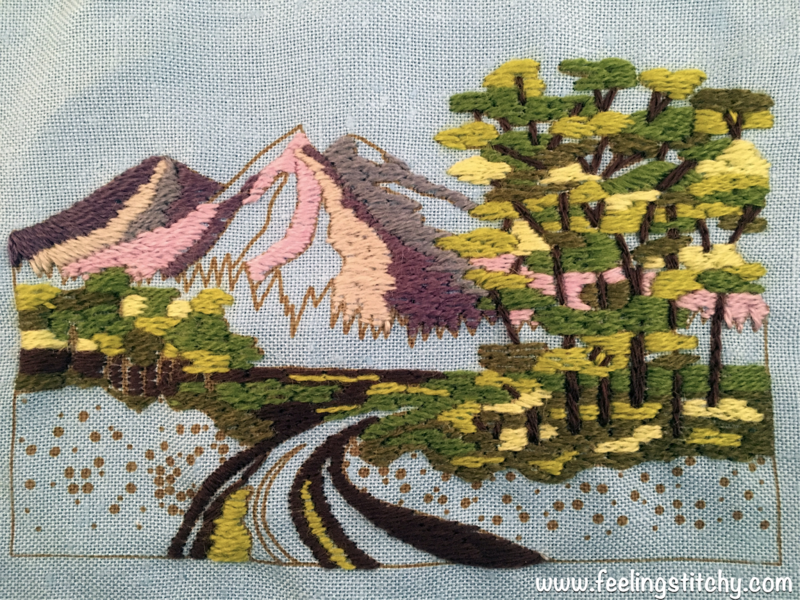 Here it is with all the greenery finished. I switched to an oval hoop because it was easier to use. 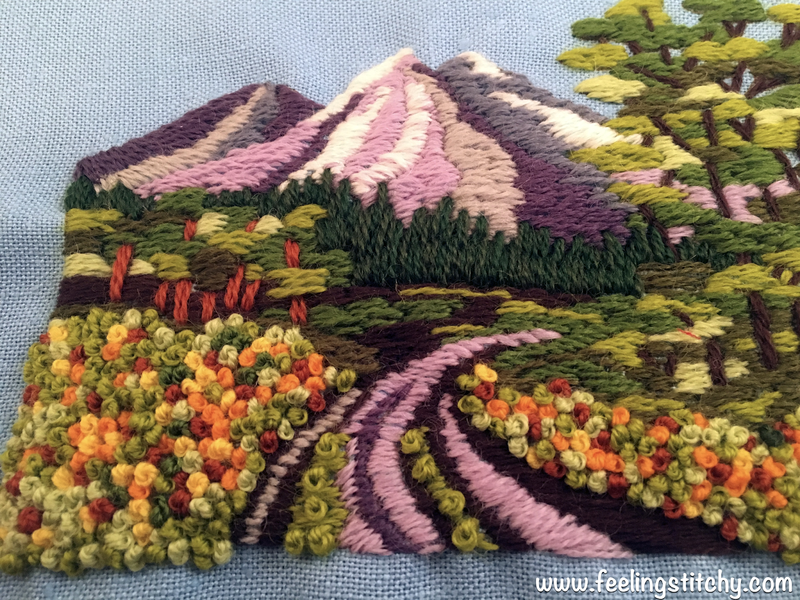 Half way done with all those French knots!! 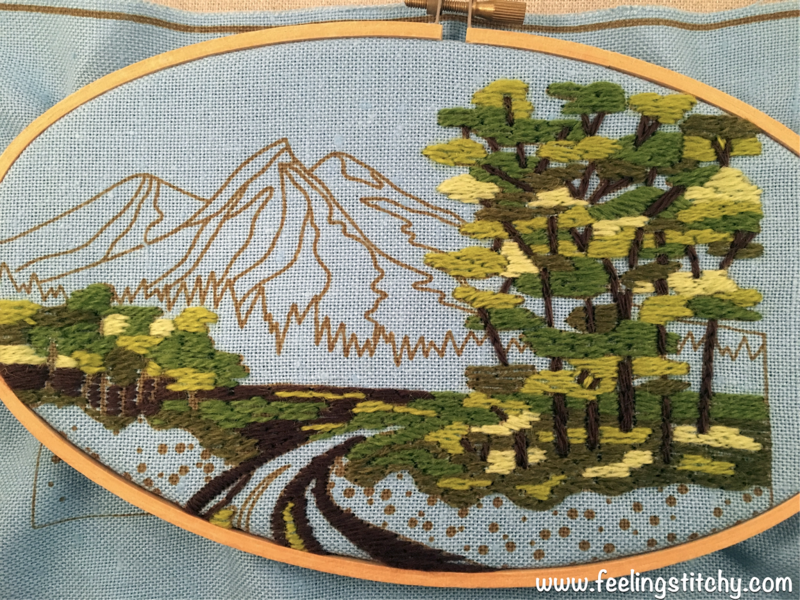 The fabric really puckers once I remove it from the hoop. 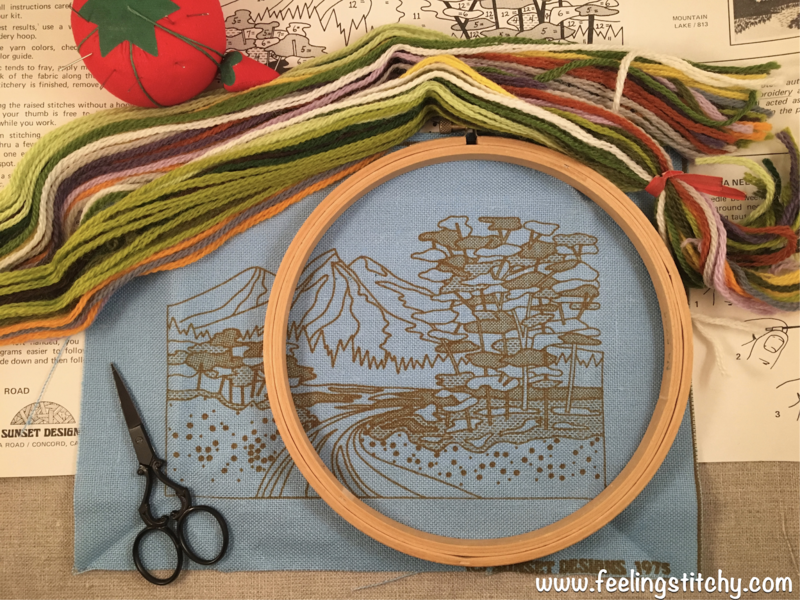 I don't have a hoop that is the size or shape to keep the finished work in, so I am not sure what to do with it. Should I try to find a hoop to put it in or should I frame it?? 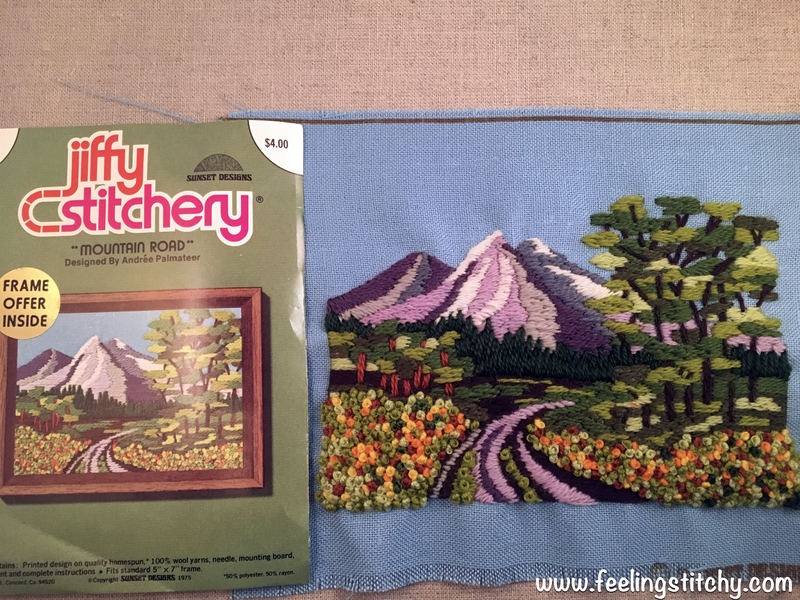 Just for fun I took a photo of the of the finished piece next to the photo on the kit's cover to compare. 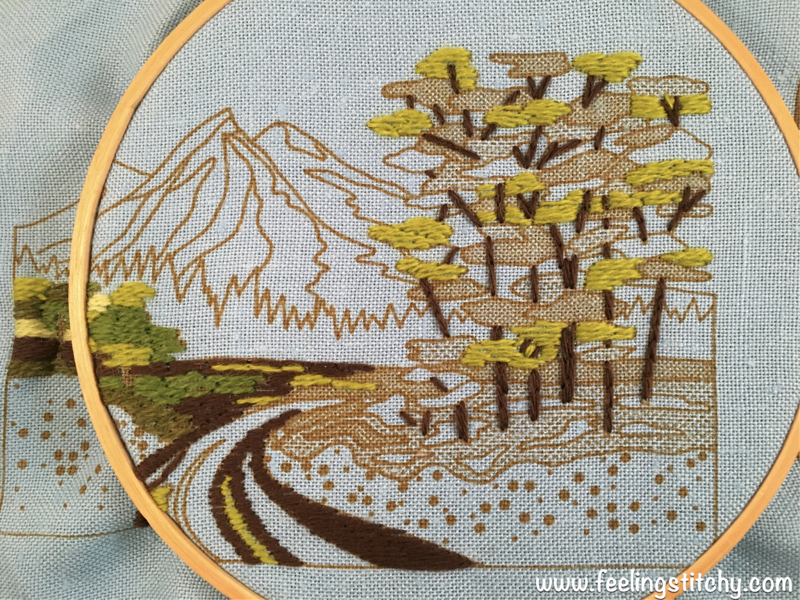 The surprising thing about this kit was how fast I actually finished stitching it! In 2017, I barely embroidered. 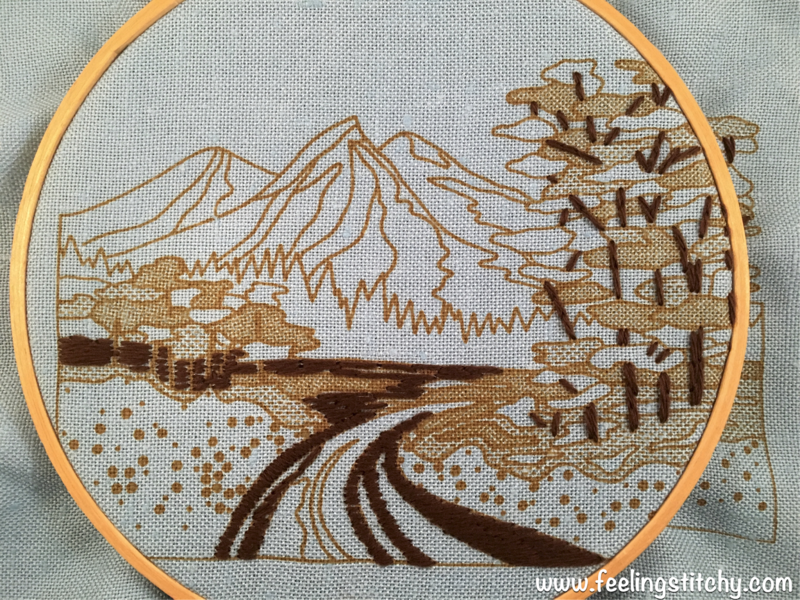 So when I got this kit, I used it as motivation to get stitching again and my goal was to finish by the new year. 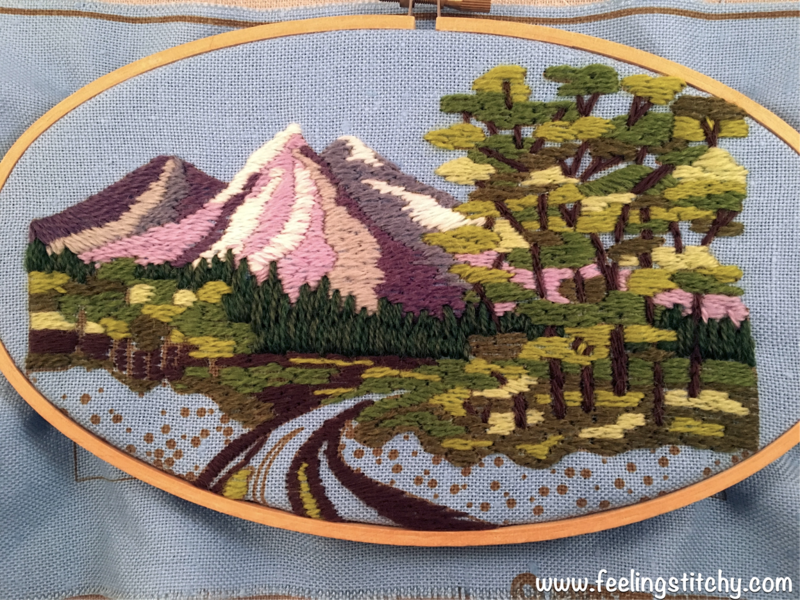 What's your favorite embroidery kit? Share in the comments, I would love to hear!